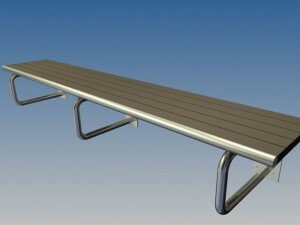 Great for outdoor use, wall mounted seating. 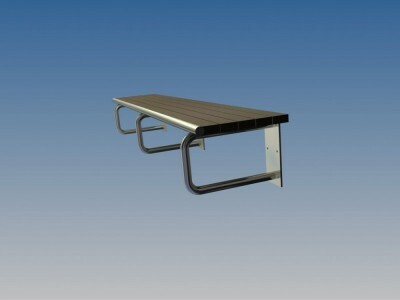 Future Wood Slats with Stainless Steel bracket & front edge. 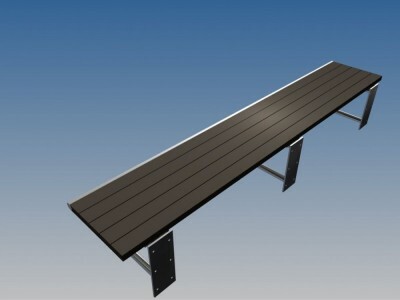 Seat bracket proturde slightly to act as a skateboard deterrent.